The suspects were caught selling fake tickets and stealing alcohol in six separate instances. 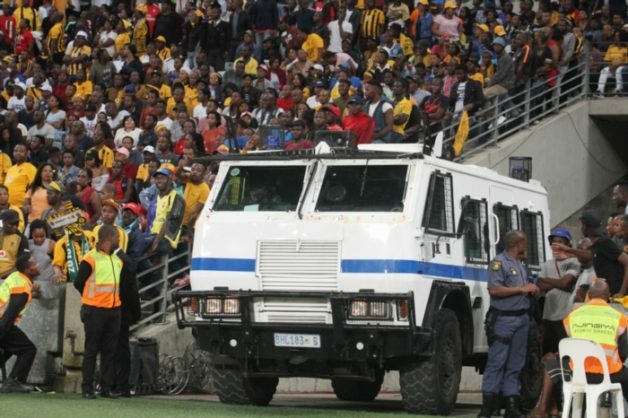 Due to proactive planning and the adequate deployment of police officers at the Moses Mabhida Stadium during the Telkom Knockout Cup competition over the weekend, a total of six suspects were arrested for various crimes, reports Rising Sun Overport. All six suspects were due to appear in the Durban Magistrate’s Court on Monday, facing charges of fraud, theft, and pitch invasion. On Saturday, the first four suspects, aged between 27 and 32, were arrested. Police are appealing to the community not to purchase fake tickets from unauthorised persons as it could lead to overcrowding at stadiums. “Police will be on high alert and ensure a zero-tolerance approach in dealing with criminal elements at our sports stadiums,” she concluded.